A festival with broad appeal is Sani Gourmet — approaching its 14th year. 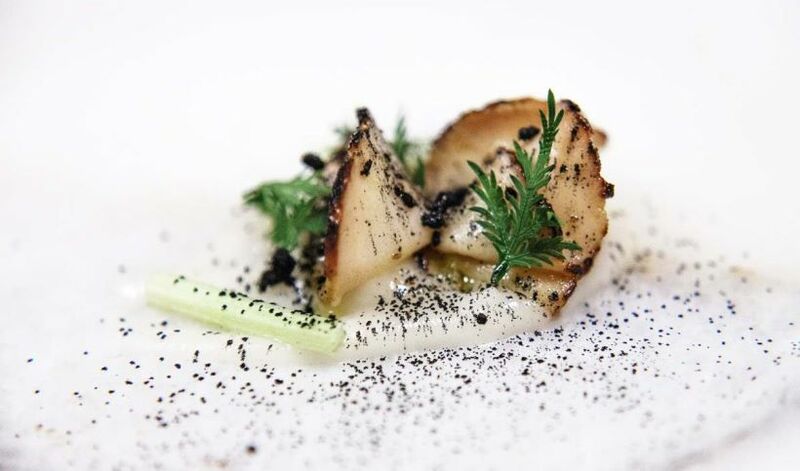 The rising stars event features a host of distinguished Michelin starred chefs from various parts of the globe — each a “Rising Star.” These creative professionals share the flavors and aromas of a variety of cultures. For five days, the chic Sani restaurants “Water,” “Fresca,” “Katsu,” and “Byblos” host some extraordinary dining experiences showcasing gastronomy’s attest trends and techniques. Sani Resort’s luxury accommodations, beautiful surroundings, and full cultural program are enough reason to visit. But it is also located in a magnificent part of Greece. Rich in natural beauty, history, archaeology, and contemporary culture, Chalkidiki is a destination that offers a diverse experience. Sani is a perfect place from which to explore. 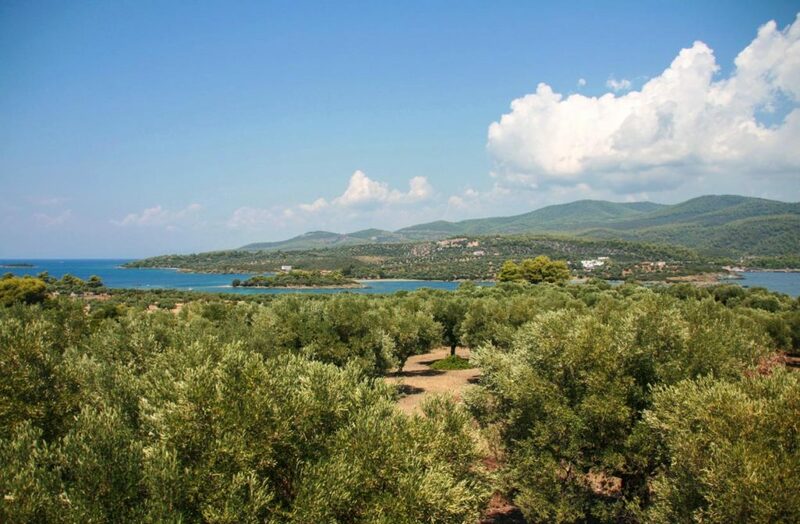 The Kassandra peninsula is known for its lushness and its vibrant, lively towns. A favorite is Afytos, known for its traditional mood and fantastic views (it is 50 m above the sea) — we recommend a stop for a coffee. Nearby is Kallithea. There are excellent beaches here, but a big draw are the ruins of the Temple of Zeus Ammon, from the 4th century BC, and also of an early Christian Basilica. 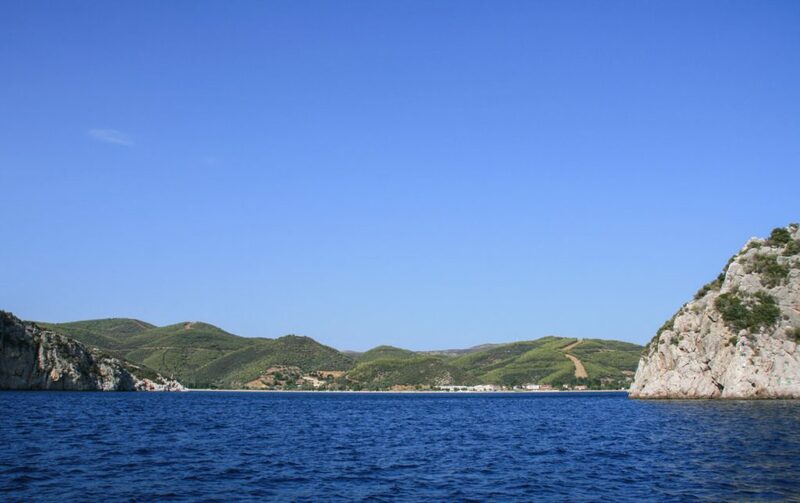 Fans of archaeology will also love visiting the ancient city of Olynthos, built on two flat hilltops. Excavations of the classical city revealed a sophisticated grid-plan, with broad avenues and smaller streets forming regular city blocks. The villas here had excellent early examples of floor mosaics. People of course associate the greatest of all philosophers- Aristotle- with Athens. But he was actually from Chalkidiki. The town of his birth- Ancient Stagira- is an unusual archaeological site — lush and green, overlooking the sea and offering a sense of discovery. It has an interesting history, colonized originally by the people of the dry, rocky island Andros, seeking Stagira’s timber and gold. Even more interesting- it was destroyed- completely- by Phillip of Macedon on his Chalkidiki Campaign. 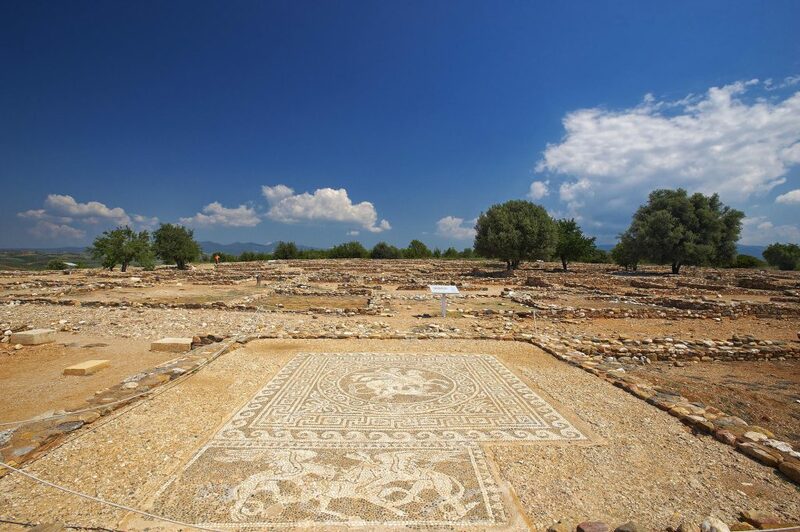 When Aristotle became tutor to Phillip’s son, Alexander the Great, he asked Philip to rebuild his beloved home town. So Phillip did! 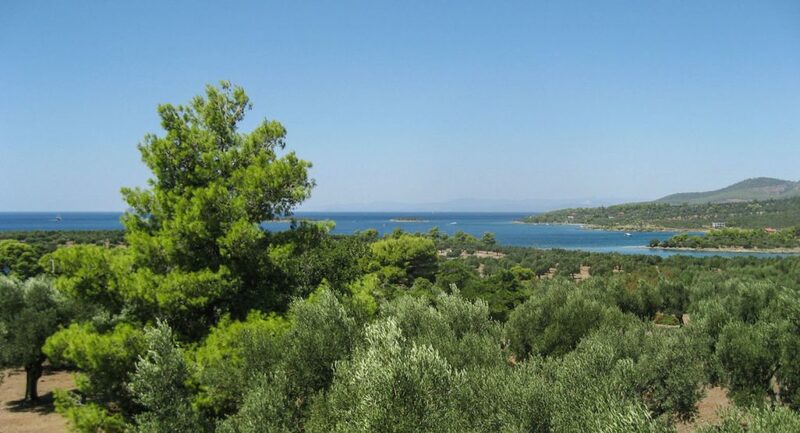 Chalkidiki is also home to another world renowned site. The UNESCO world heritage designated Mount Athos is an entire peninsula of Chalkidiki — the third leg- which has been devoted to Monastic existence since the Byzantine era. 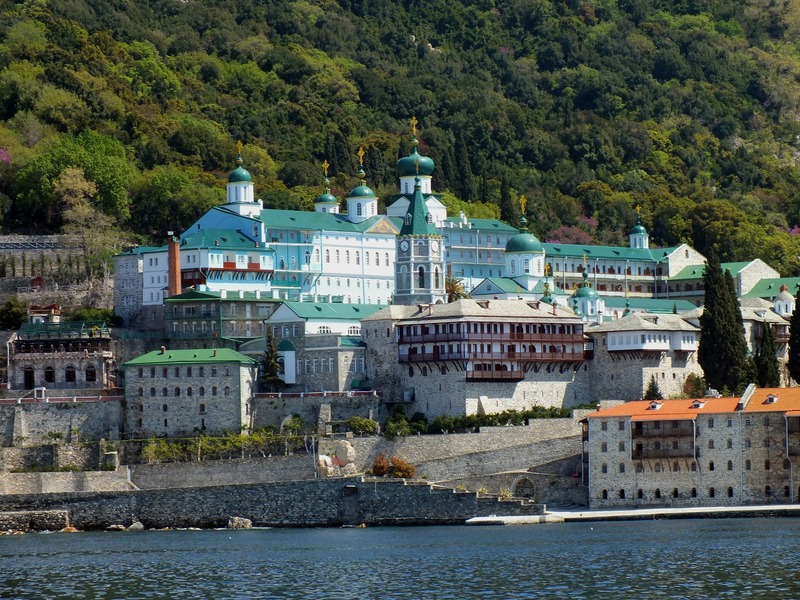 Splendid monasteries representing much of the Orthodox world are here. The entire peninsula is a site of religious pilgrimage- but for men only. But anyone can admire the beauty of the monasteries and the scenery by organized and informative boat trips around the peninsula. And there is a mountain- Mt. Athos itself is a majestic 2033 m tall. Chalkidiki is home to a strong folk culture — music and dance, beautifully embroidered traditional costumes. Mountainous villages are a particularly good place to experience this Arnea- a particularly charming traditional village of stone houses, with a huge plane tree, a spring of cold sweet mountain water flowing in the town square, and delicious honey you can take home, or enjoy poured over ice cream while you’re there. Lovely folk crafts are also for sale. There is a marvelous historical folklore museum in the town, housed in a classic building from the 1750’s. The Petralona Cave was only discovered in 1959, by a villager looking for a water source. What a treasure he uncovered! Enormous high ceiling rooms were discovered, decorated with stalactites and stalagmites. The cave, just over 10,000 square meters in size and with 2 kilometers of corridors, is fascinating to explore. This is not just of interest to speleologists and those interested in natural history, but also to Paleontologists. One of the most important finds of the cave- just a year after the Petralona cave itself was first discovered- was the “Petralona Skull” belonging to a man thought to be at a stage of evolution between the Homo erectus and the Homo sapien- thought to be Europe’s oldest hominid skull. 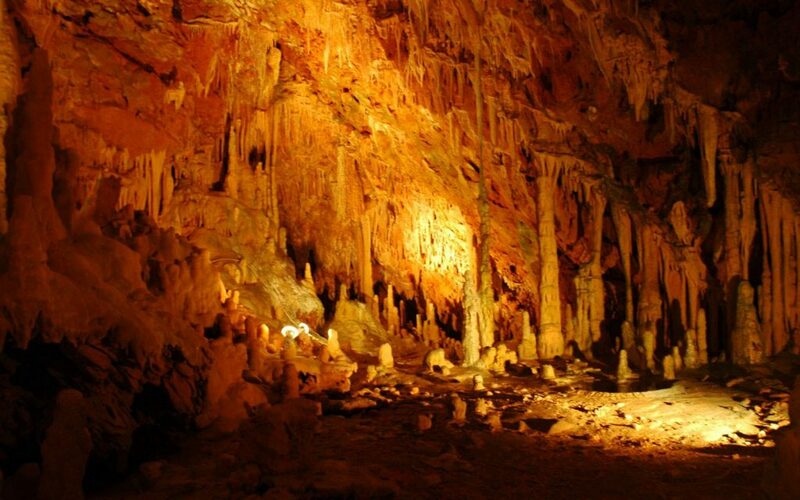 The cave is full of fossils of a vast number of species and also evidence of prehistoric life. Findings from the cave- such as stone tools and the skull, are in the on-site Anthropological Museum. Have you been to Chalkidiki? Did you find it full of surprises?